Because there are so many different types of grip strength equipment to choose from, it can sometimes be difficult to know which one is right for you. In this article, we discuss a variety of strength tools, including Powerball®, so you can find the perfect strengthening device for your needs. Here at Powerball we offer a wide variety of strength tools that are ideal for training different parts of your upper-body. Some pieces of our strength tools are specially designed for strengthening individual muscle groups, such as the muscles of the forearm or those needed for a powerful grip. Other pieces of grip strength equipment focus on larger muscle areas, such as the hand or wrist, while Powerball, our original strength trainer, exercises the entire kinetic chain of the arm, building muscle and endurance from fingertip to shoulder. 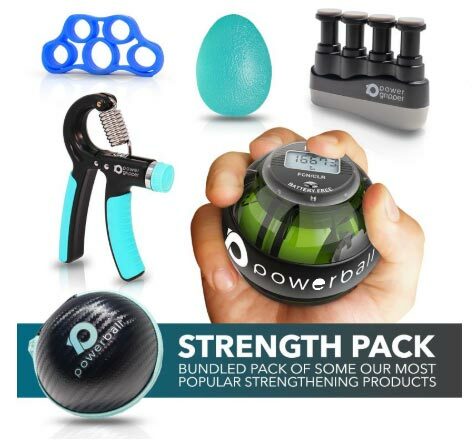 As the most effective gyroscopic exerciser in the world, Powerball is one of the best pieces of grip strength equipment that you could treat your body to. Used by over 4 million people worldwide, Powerball trains your muscles for massively increased endurance and a powerful grip. For maximum results, we recommend complementing regular Powerball exercise with any of the other strength tools available on our website. Why is regular grip strength training important? Despite what people might say, strength tools are not just made for dedicated fitness fans. Regular grip training with a reliable piece of grip strength equipment should be part of everyone’s daily routine. Everyday we carry out hundreds of movements which, when repeated regularly start to weaken our muscles and joints. 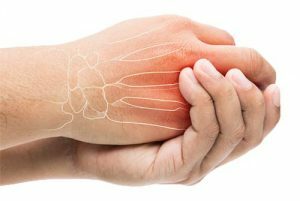 Overuse injuries, such as RSI (repetitive strain injuries) are extremely common and develop as a result of simple, repetitive everyday movements. That’s why it is so important that we practice regular grip strength training. Using a piece of grip strength equipment even just for a couple of minutes every day is enough to effectively maintain muscle and joint health and prevent injury from occurring. Why should I practice regular grip strengthening? Suffer from weak wrists, a shaky grip or hand injury? Using a good piece of grip strength equipment on a regular basis can change that. Relieve pain, rehabilitate injury and regain strength – all it takes is just a couple of minutes a day to start seeing the results. Some pieces of grip strength equipment in the list below are specifically-designed for strengthening after you have recovered from certain injuries. Find the right strengthening tool for you today and get back to a strong, healthy and pain-free lifestyle in no time. The basis of many sports is a strong grip (golf, tennis, climbing, martial arts, cycling and more). And whether professional or amateur, a reliable piece of grip strength equipment should be in the gym bag of every athlete. Use it to warm up before a game or cool down after a practice session – strength tools build muscle, endurance and grip strength so that you can play better for longer. What’s more, regular training with a good piece of grip strength equipment keeps your muscles and joints supple and strong, greatly lowering your risk of sustaining a sport-related injury or RSI. Build grip strength, enhance finger dexterity, increase joint mobility and flexibility: no matter what your instrument, all musicians will benefit from using grip strength equipment. Regularly training your hands, fingers and wrists with a good piece of grip strength equipment should a part of every musician’s practice routine. We recommend using strength tools on a daily basis for effective grip strength training and muscle health maintenance, however grip strength equipment is also ideal for warming up/down before and after practice sessions or performances. So, whether your forte is the guitar, piano or drums, you can enjoy enhanced performance and technique simply by practicing regular strength training. See the list below to choose the perfect strength tool for you. RSI (repetitive strain injuries), such as carpal tunnel syndrome, tendonitis, golfer’s/tennis elbow, etc. develop as a result of muscle or tendon overuse. Small movements repeated over time can cause irritation, inflammation and pain that can later develop into a serious RSI. Work-related RSI is a particularly common problem that affects office workers, manual labourers and assembly-line employees. Using a computer mouse, typing or repeatedly lifting or assembling objects will usually be the basis for this debilitating injury. Other activities, such as playing a sport or musical instrument, driving, knitting, gardening or simply washing the dishes can also cause RSI. For this reason, regular training with a reliable piece of grip strength equipment is extremely important. A good piece of equipment should not only strengthen your grip, but it should also build muscle and endurance in the hands, fingers, wrists and arms. Maintaining strong and flexible muscles is without a doubt the most effective way to protect yourself from injury. And all you need is a good piece of grip strength equipment to keep the symptoms of RSI and other injuries at bay. Every one of the strength tools listed below is highly-effective for building grip power, muscle strength and endurance and providing long-lasting injury rehabilitation/prevention. Which piece of grip strength equipment is for me? 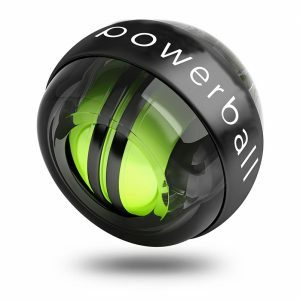 Powerball is one of the most effective isometric exercisers in the world. Spin Powerball at slow speeds for instant pain relief and effective injury rehabilitation; or spin it at high speeds for strengthening and long-lasting injury prevention. 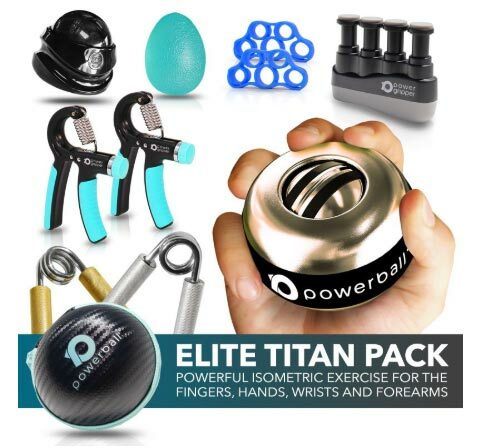 Simple to use and only the size of a tennis ball, Powerball is a powerful piece of grip strength equipment that you will never regret purchasing. All it takes is 3-5 minutes a day of Powerball exercise to start seeing the incredible benefits for yourself. 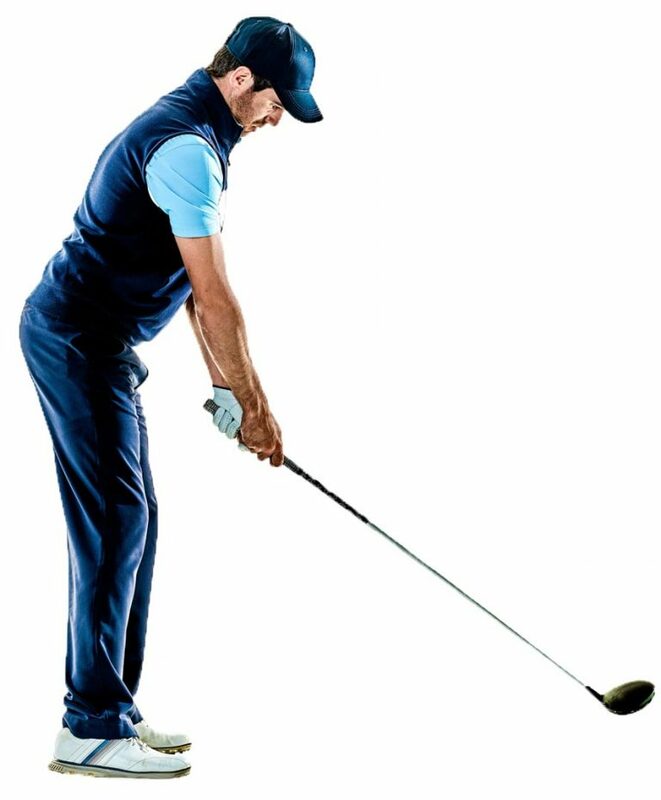 Focus areas: Fingers, hand, wrist, forearm & shoulder. Train your muscles for the ultimate grip, build strength in the arms & wrists for enhanced workouts in the gym or rehabilitate injuries in the upper limbs – the Metal Grip Strengthener from Powerball® provides everything you’ll need in one powerful, compact device. With a choice of 5 powerful resistance levels (75lbs, 100lbs, 150lbs, 200lbs & 250lbs), there is a Powerball Metal Gripper to suit all levels of strength and fitness. Focus areas: Fingers, hand & forearm. Strengthen your forearms, build crushing grip or simply rehabilitate injured fingers – it’s all possible with the 5 > 50kg multi adjustable Power Gripper where powerful resistance is created with the simple twist of a knob. Power Gripper is a perfect warm up tool, helping to rapidly warm up the forearm flexor and extensor muscles and driving blood flow into the tissue to help prevent injury during the workout or game. The perfect accessory to keep in your gym bag or car glove box, a 30 second progressive squeeze at the desired resistance level will place a strong loading on the muscles in the forearm and help develop massive grip strength and very strong fingers. We recommend using Power Gripper in conjunction with Powerball for maximum efficiency and results. Available in black and turquoise. 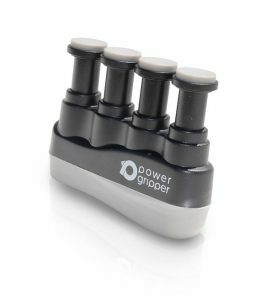 The Isometric Finger Gripper from Powerball® is the perfect tool for anyone looking to build finger grip strength and regain muscle power in the hands and forearms. 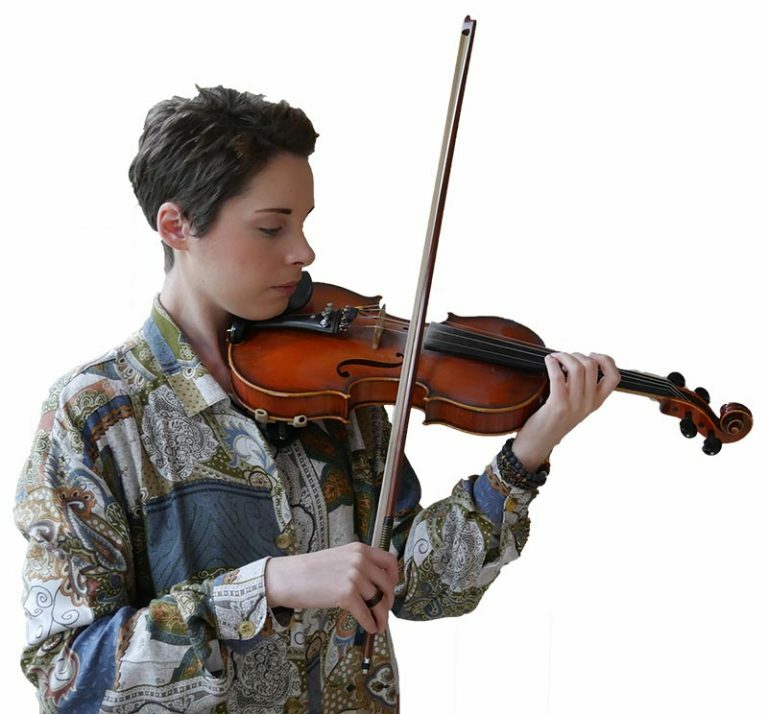 A particularly useful product for musicians, the Isometric Finger Gripper allows you to target and strengthen individual fingers for enhanced joint dexterity and flexibility. This pocket-sized exerciser can be conveniently stowed away in your pocket or bag for warming up before a music show or practice session. It is also highly practical for sports requiring powerful finger grip strength and endurance, such as climbing, golf, martial arts and tennis. For best results, we recommend that you PRESS AND HOLD the buttons for periods of 15, 30 or 60 seconds (isometric resistance) depending on strength and fitness level. Available in black and turquoise. An engaging and highly-addictive pocket sized exerciser designed to maintain the health, strength and conditioning of the hands & fingers for all ages and fitness levels. 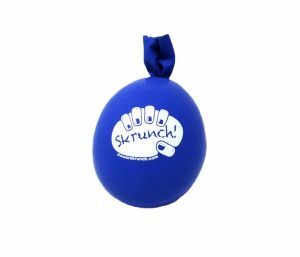 Each Skrunch is filled with 300grams of extra fine micro-base silica crystal wrapped securely inside two layers of durable latex to ensure a supremely comfortable yet engaging “squeeze” each time you use it. This soft foam physiotherapy ball is perfect for strengthening hand and finger muscles and for rehabilitating the fingers, hands and weak wrists. 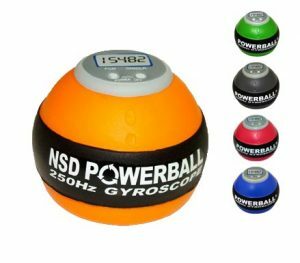 Powerball StressBall has been manufactured to exactly represent the size and shape of a real Powerball® in the form of a squeezable stress ball. Relieve tension, increase grip strength and flexibility, maintain muscle health or rehabilitate injury in the hand and fingers – it’s all possible with a simple squeeze of this soft and resilient foam StressBall. Available in a variety of colours. Still not sure which piece of grip strength equipment is right for you? No problem! We also offer a variety of Power® Packs for all of your strengthening needs. Every pack contains a variety of diverse strength tools, each with their own individual advantages for effective strengthening and rehabilitation. The centrepiece of this Elite Pack is the world’s most powerful Powerball; Titan Pro Autostart. This premium bundle is the perfect choice for all sports & fitness enthusiasts or indeed, anyone who is serious about strengthening their upper limbs. Powerball Autostart Titan Pro & Carry Case – Titan Pro features a solid zinc rotor, ultra smooth spin performance. automatic starting and includes an inbuilt digital speed meter for precisely tracking your workout sessions. It produces 22kg of resistance at 10,000rpm with a max output of 28kg / 60lbs+ – making it absolutely ideal for anyone looking to build serious upper-body strength. Metal Grippers in 150- & 200lbs resistances – 2 high-quality aluminium & steel grippers with protective foam covers and included bag. Power Gripper x 2 – affords you 5-50kg (1-110lbs) of concentric and eccentric grip strength resistance – the perfect complement to Powerball’s isometric strength training. Power® Roller – self-massage ball for sore muscles and pain relief on the neck, shoulders, back, arms, hips, legs, and feet. Finger Stretch Exerciser x 2 – elastic resistance trainer for building hand and fingers strength. Isometric Finger Gripper – can be used for both dexterity and endurance training of the fingers. Simply squeeze and hold for 20-60 seconds to see an improvement in strength. Squeeze Exercise Egg – simple, effective hand squeeze ‘egg’ – great for strengthening, rehabilitation/recovery and stress relief. The perfect strengthening bundle pack for your fingers, hands, wrists & arms. This great value pack is based around our worldwide best selling Powerball Autostart Pro and saves you over 25% on normal combined retail. It’s perfect for all strengthening or rehabilitation applications of the upper limbs (forearms, wrists, hands, fingers plus shoulders). Ideal for training on the go, at home or while taking a quick 60 second break at your desk. NSD Powerball Autostart Pro & Protective Carry Case – Autostart Pro includes a digital speed meter for precisely tracking your strength & rehabilitation progress, ultra smooth spin performance, automatic starting and generates 16kg / 35pounds of resistance / force at 10,000rpm. 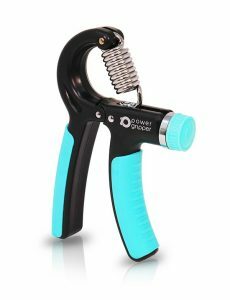 Power Gripper – affords you 5-50kgs (10-110lbs) of concentric and eccentric grip strength resistance to complement the isometric strength training of Powerball. Finger Stretch Exerciser – resistance trainer for your hands and fingers. Isometric Finger Gripper – can be used for both finger dexterity and endurance. Grip and hold for 20-60 seconds each time and build strength fast. Squeeze Exercise ‘Egg’ – simple effective hand squeeze ‘egg’, great for strengthening and rehabilitation. 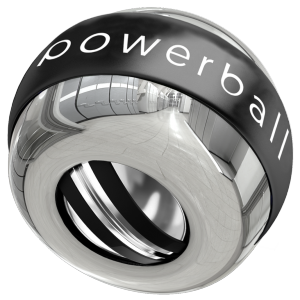 All of the products featured in this article can be purchased on the Powerball® website. Keep your hands, wrists, arms and fingers in tip top shape – all it takes is just a couple of minutes of strengthening a day. 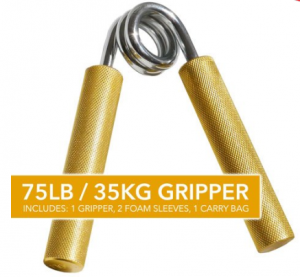 Find your favourite new piece of grip strength equipment today and enjoy a strong, healthy and pain-free lifestyle. Strengthening done right – Strengthen the Powerball® way.